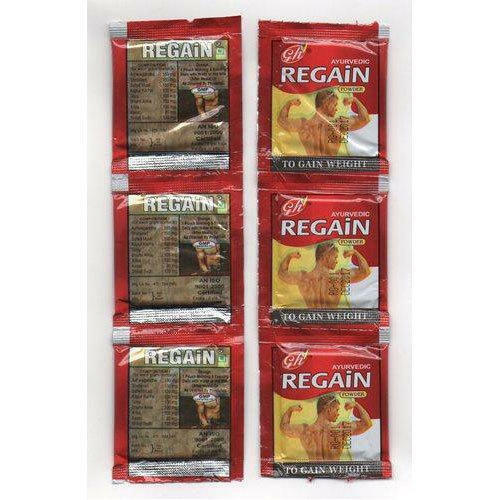 Our company holds immense experience in this domain and is involved in offering a wide assortment of Regain Powder. We, Krishna Health Care Products from 2015 are manufacturing, exporting, importing and trading a high-quality range of Herbal Supplement. Offered products range consists of Health Supplement, Weight Gainer, and Male Fertility Enhancer. All offered products are processed in the well-equipped environment under the supervision of our experts by following norms using pure ingredients. In addition to this, these products are known for their high purity, accurate composition, and long shelf life. In addition to this, we offer these products to our clients at very reasonable rates. We have made a highly sophisticated infrastructure base. This infrastructure includes manufacturing, research& control, and sales departments. With the help of our professionals, we are fulfilling the needs of patrons by providing optimum quality products. In addition to this, our team encompasses quality controllers, production experts, and many others. Apart from this, our major countries are Saudi Arabia, Canada, US, UAE, and Africa. Additionally, we deal with our own manufacturing brand Krishna.